Shopify updated their API, and inventory quantities are managed through a different API resource. 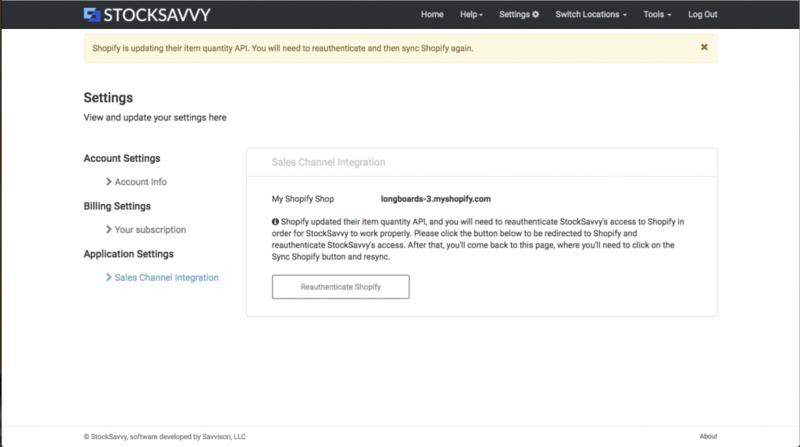 In order for StockSavvy to continue working properly withe these updated API resources, you will need to go to Shopify to reauthenticate and update. Click the button shown below. 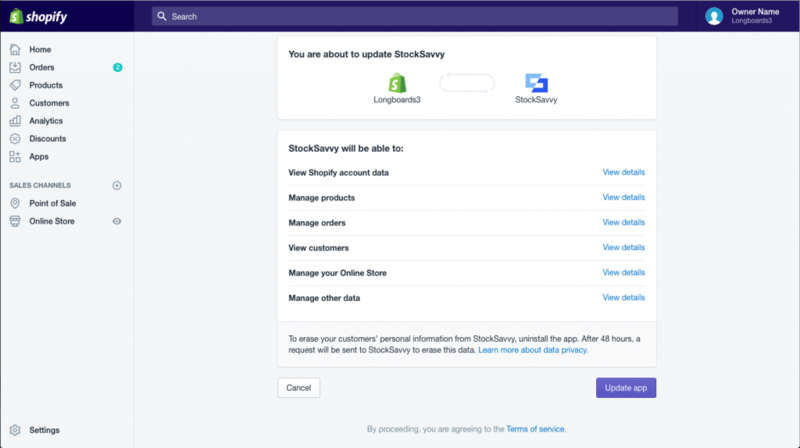 Then, you will land on Shopify’s page where it asks if you want to update StockSavvy. Click the “Update App”, and you’ll get back to the StockSavvy page. Finally, to complete the update, you’ll need to sync Shopify again by clicking the “Sync Shopify” button. This will sync all your items and may take a few minutes. Then, you’re done! You will be able to continue counting items and updating Shopify.